When communicating with S7 Devices there is a whole family of protocols, that can be used. 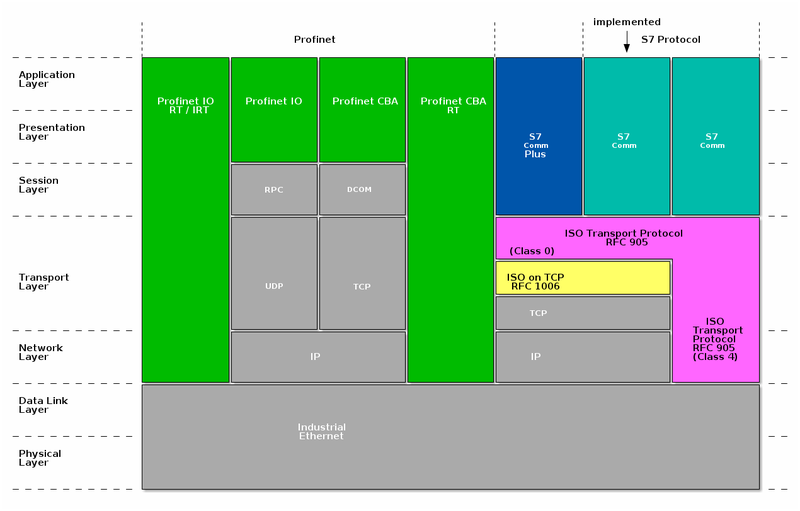 In general you can divide them into Profinet protocols and S7 Comm protocols. The later are far simpler in structure, but also far less documented. The S7 Comm protocols are generally split up into two flavours: The classic S7 Comm and a newer version unofficially called S7 Comm Plus. The hex-value behind each of these correlates to the first byte used in the protocols messages to indicate the type of protocol. Notice: There is no Disconnect Response in ISO TP: Class 0. The Connection Response is identical to the Connection Request with the only difference that the TPDU-Code has a code of 0xD0.